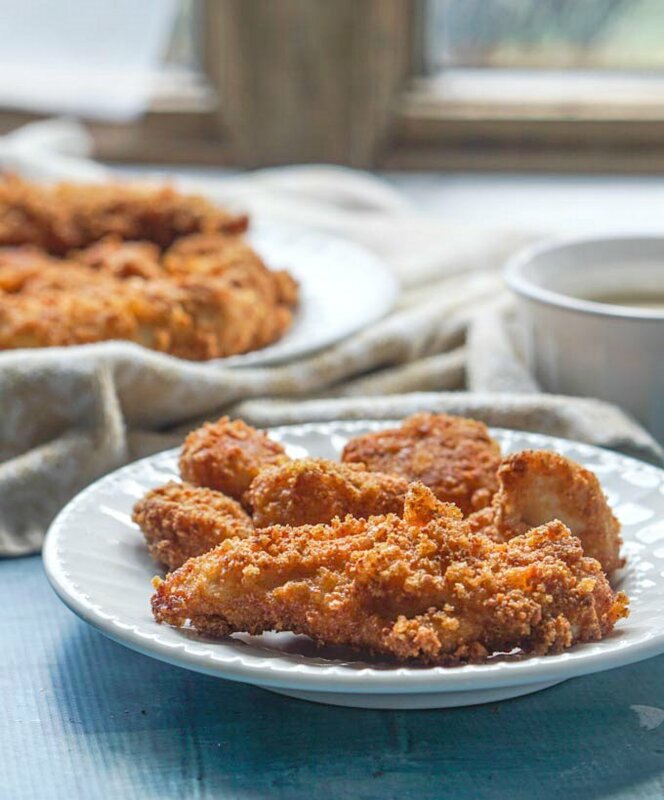 These crispy low carb chicken nuggets are quick and easy in the Air Fryer. 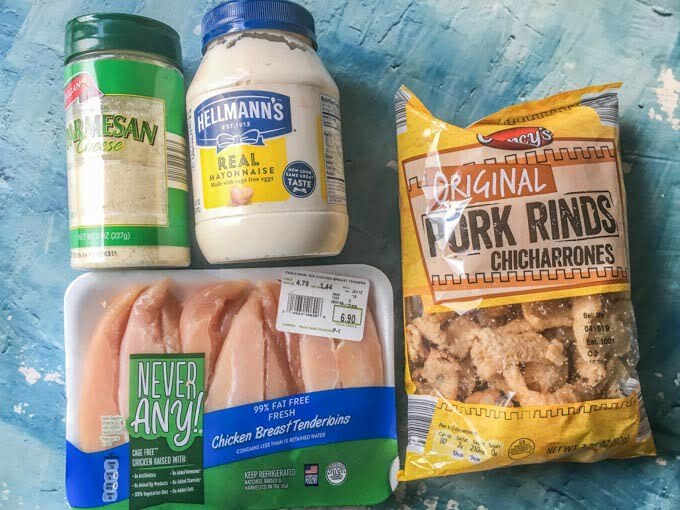 Whip up a batch with just a few ingredients and the whole recipe has only 3.8g net carbs! 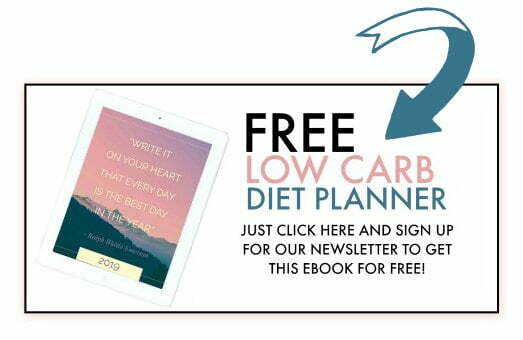 You might also like these low carb breaded pork cutlets. I’ve had an air fryer for a few months now because I am the gadget queen. I didn’t use it much but I have a friend who just raves about it so it’s time to put it to use. One thing I noticed is that it cooks breaded food really well. To me it cooks like a microwave and oven all in one. 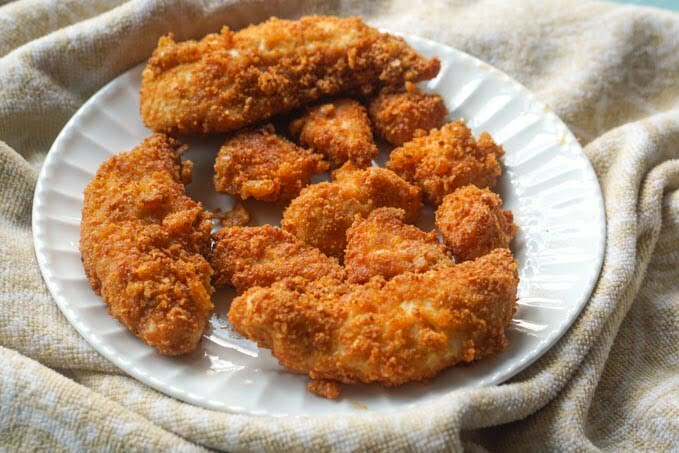 So today I wanted to make some crispy low carb chicken nuggets and tenders in the air fryer for my son. He loved them!!! He actually said to me “mom you know how you try to make foods I like [junky foods ] well this one I really like!” Yay for me! I’ve been trying for years to make healthier versions of foods he likes and I win maybe 25% of the time. So. 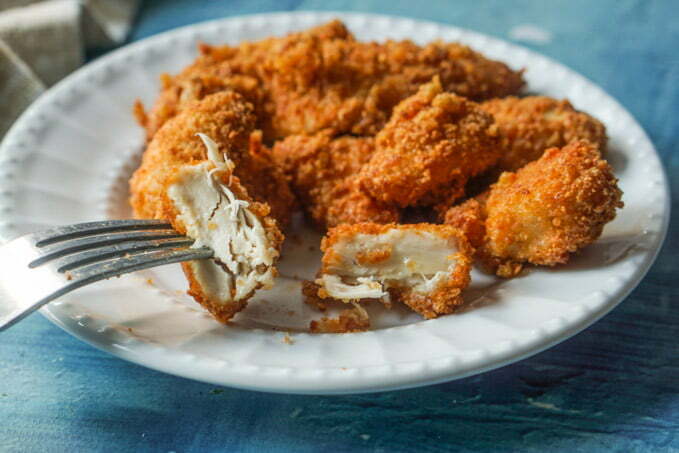 Just look how crispy those low carb chicken nuggets and tenders are! 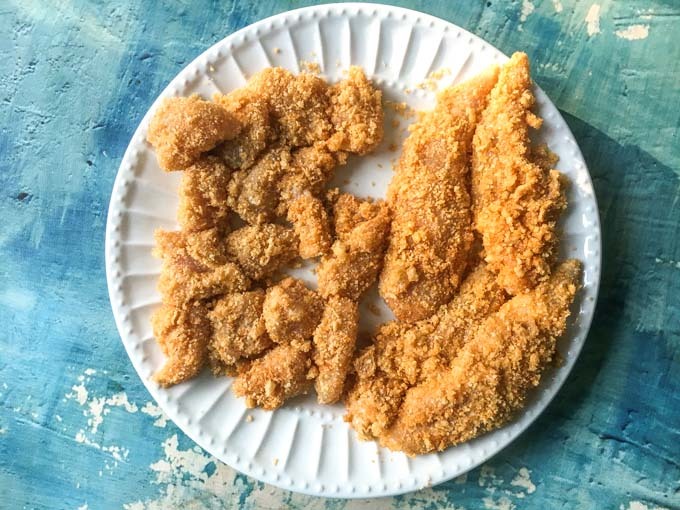 I have used pork rinds for my breading when I made my breaded pork cutlets. I don’t really like pork rinds or want to think about what they actually are but they make great breading! The difference today is that I used mayo instead of egg for my breaded cutlets. 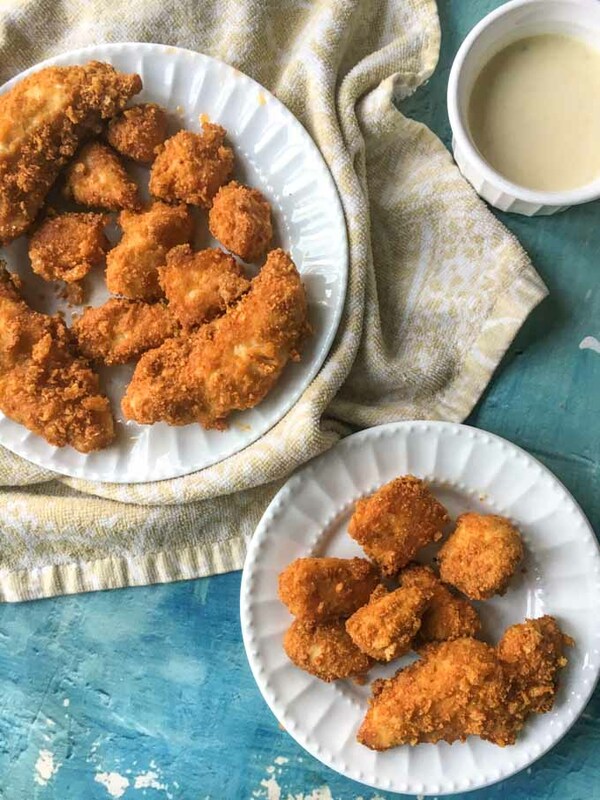 It worked great for this recipe because usually you have to mix whatever you make in the air fryer with a tablespoon of oil. The mayo acts as the oil and keeps the crunchy topping on. I use mayo instead of egg to bread the chicken. I bought everything at Aldi, including their pork rinds. I crushed them up and added some spices and parmesan cheese. This became my breading and it was quite good! So I just mixed the ingredients and place in a large shallow bowl or plate. The chicken nugget breading is just crushed pork rinds, parmesan cheese & spices. Now you start by towel drying your chicken so it will adhere to the mayo. Then place it in a baggie with the mayo and squish it around until the chicken is covered. Then you roll each piece in the breading and then gently place in the basket of the air fryer. Continue until all the chicken is done. What temperature should you set the air fryer to? I air fryed the chicken at 380 degrees F for 15 minutes and then turned it up to 400 for five more minutes. The higher temp will get it crunchier. Make sure the meat is done though. If not put them back in for a few more minutes. It’s so easy to do in the air fryer. Cook at a lower temperature for most of the time and then turn up the heat at the end to make them very crispy. Note I made tenders and nuggets. 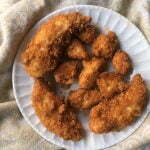 The nuggets cook a bit faster then the planks so make sure you check them to see if the tenders are cooked before you serve them if you are making them together like I did. By the way this is the air fryer I bought. It’s an Air Fryer XL by Cozyna (5.8QT) and so far so good. It has a pretty large basket and it’s simple to use. I did a little research and this is the one I thought would work best for me. Pour the contents of the pork rinds in to a baggie and crush into the form of bread crumbs. Pour into a large shallow bowl and mix in the spices and cheese. Either cut or just add the tenders to a large plastic baggie and spoon the mayo on top. Squish the mayo and chicken around to cover the chicken completely. Piece by piece cover the chicken with the bread crumbs and carefully place in the basket of the air fryer. Cook for 15 at 380 degrees F and then 5 minutes. at 400 degrees. Check to make sure the chicken is cooked, especially with the tenders.